PBS announced category winners for the 2016 PBS Development Awards, which recognizes member stations for outstanding corporate support, membership, philanthropy and special achievement efforts in local communities. Oklahoma’s OETA won the Special Achievement Award. The PBS Development Awards were presented during the PBS Showcase at the annual Public Media Development and Marketing Conference (PMDMC). “When you have great local content like “What’s the Deal?” that aligns so closely with your mission, an innovative staff dedicated to supporting it, and underwriters like the Oklahoma Association of Electric Cooperatives (OAEC) who are passionate about making an educational impact in the community, it’s easy to innovate,” added Daphne Dowdy, President and CEO, OETA Foundation. 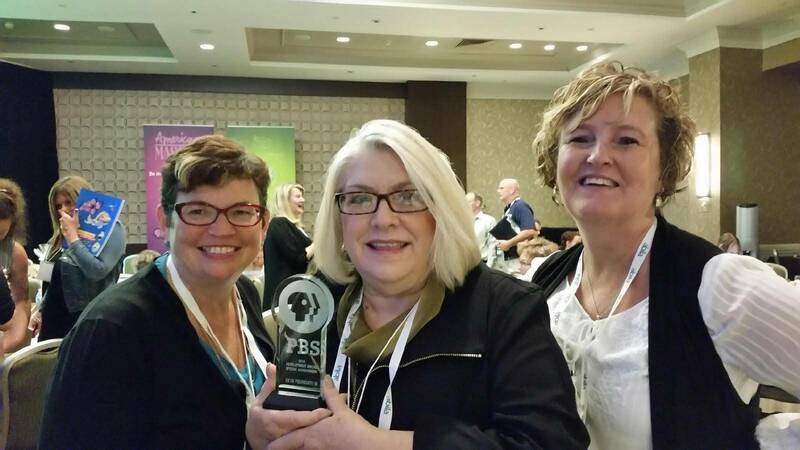 Other 2016 PBS Development Award winners include WFSU, which serves northern Florida and southern Georgia, Twin Cities PBS, which serves the greater Twin Cities area and parts of Iowa and Wisconsin, KPBS, serving the San Diego area, and Iowa Public Television (honorable mention). OETA provides essential educational content and services that inform, inspire and connect Oklahomans to ideas and information that enrich our quality of life. We do this by consistently engaging Oklahomans with educational and public television programming, providing educational training and curriculum, outreach initiatives and online features that collectively encourage lifelong learning. Explore our website for more information about education curriculum and programs, local productions, digital television, community resources and show schedules.